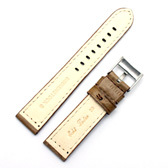 Hand made in Germany with a attention to detail, this is a matt beige vintage style leather watch strap has beige detail stitching, thick padding, a heavy duty look but a soft, flexible comfortable feel. 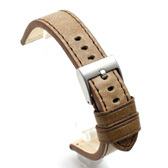 It has been ecologically tanned and has soft stitched calf leather lining for extra comfort. 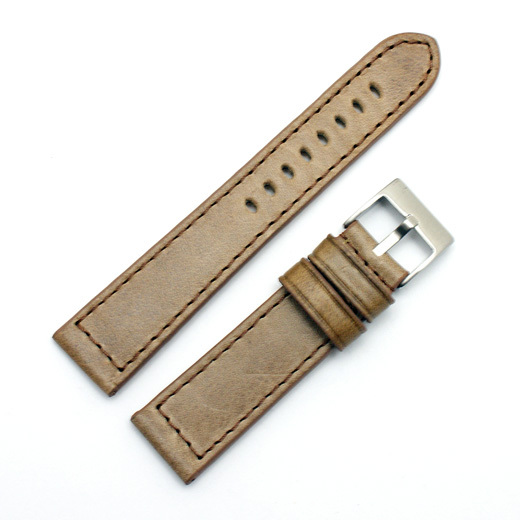 This strap will fit any watch where the distance between the lugs is 18mm, 20mm, 22mm, 24mm or 26mm (depending on the strap you buy). Like all of our products, it is brand new and in stock in the UK, ready for our super fast shipping. 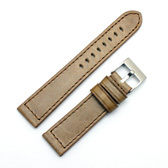 Collection welcome at a mutually agreed time from Hatch End, Middlesex HA5 (with no delivery cost).